In 1869 the Primitive Methodists held their first open-air service in Addiscombe in ‘old Granny Cornfield’s Cottage’ in Cross Road. In 1871 a plot of land was bought on the corner of Cherry Orchard Road and Leslie Grove. 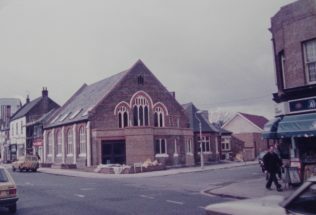 In 1877 a small, brick building was erected on this site, to be soon replaced by a larger church and hall in 1884.